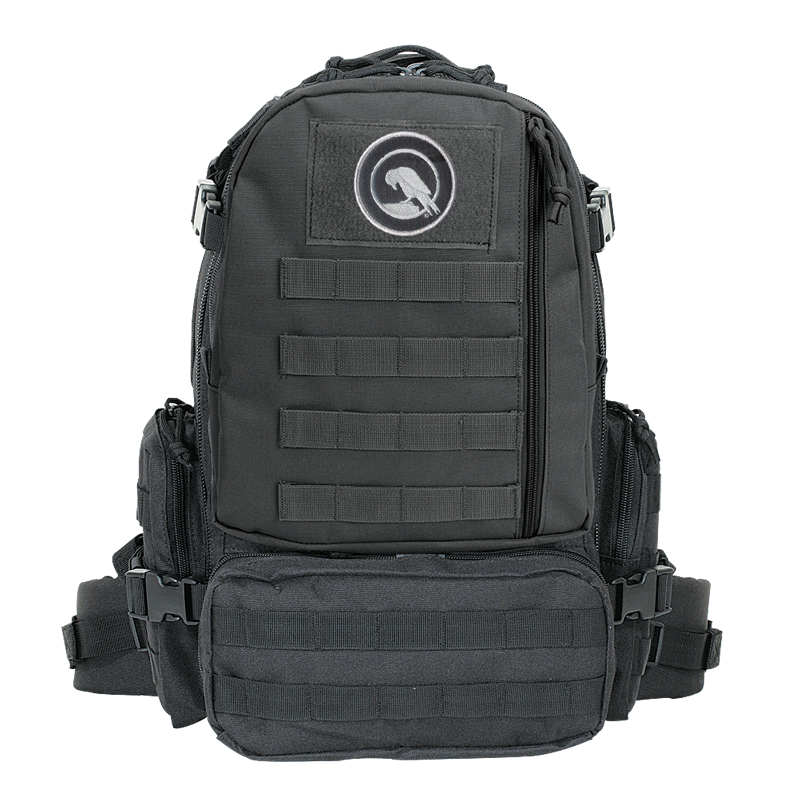 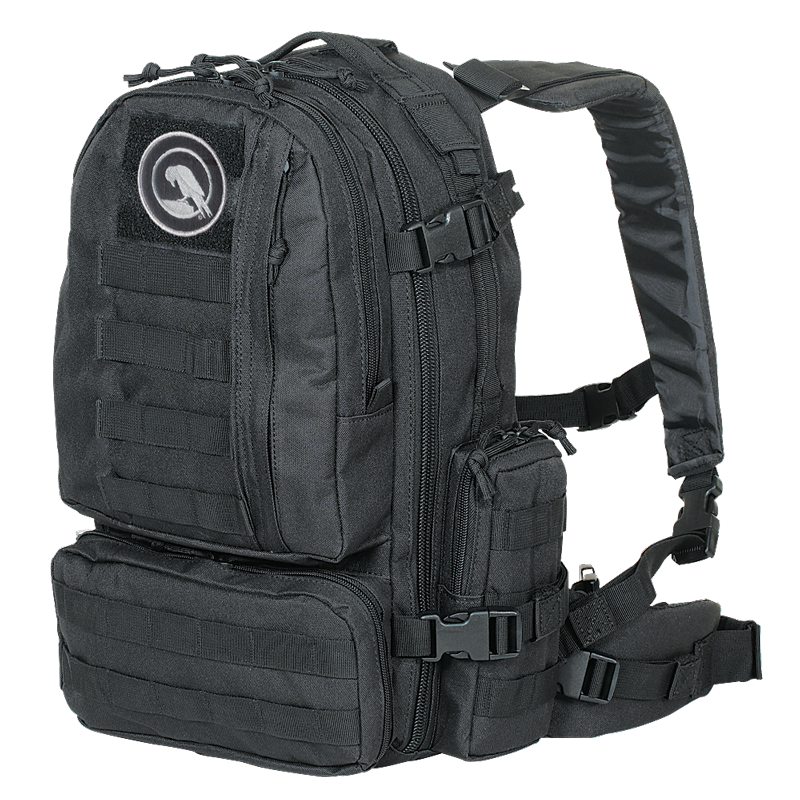 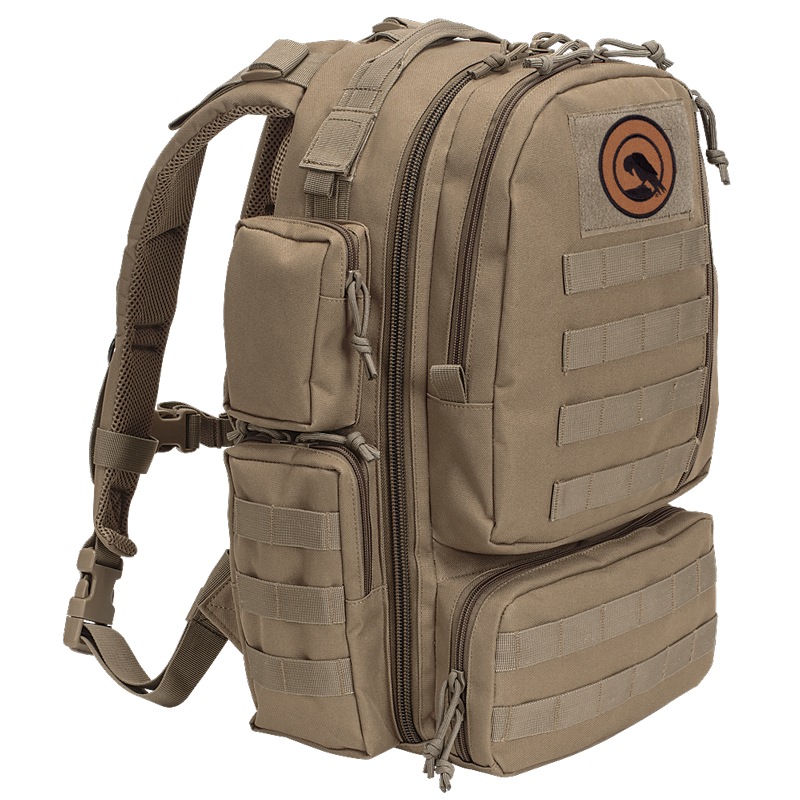 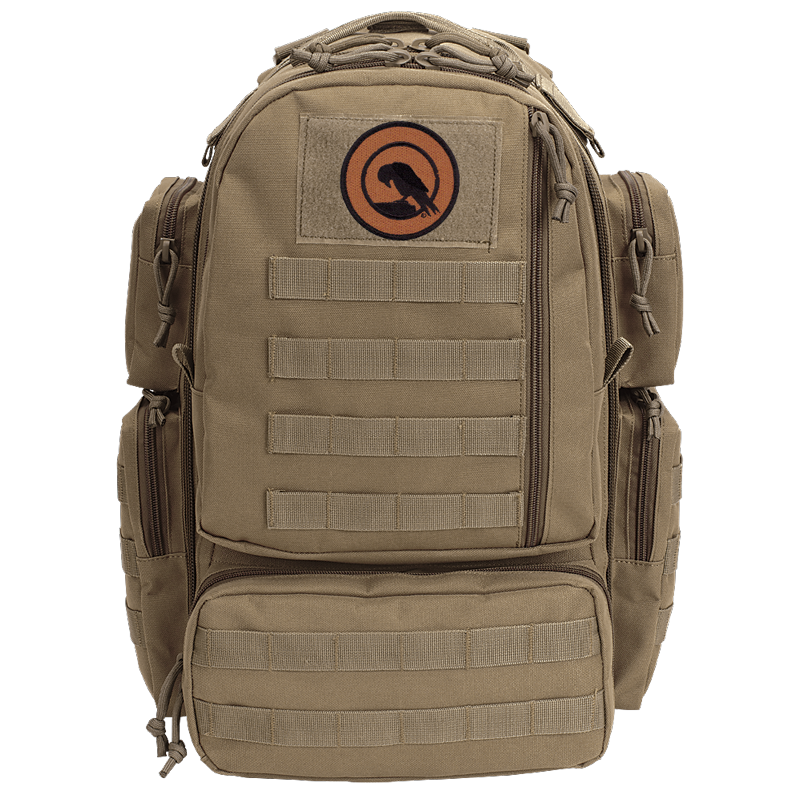 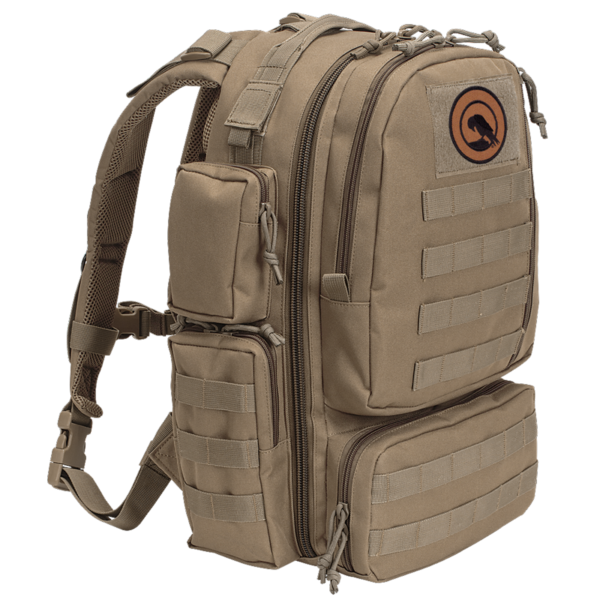 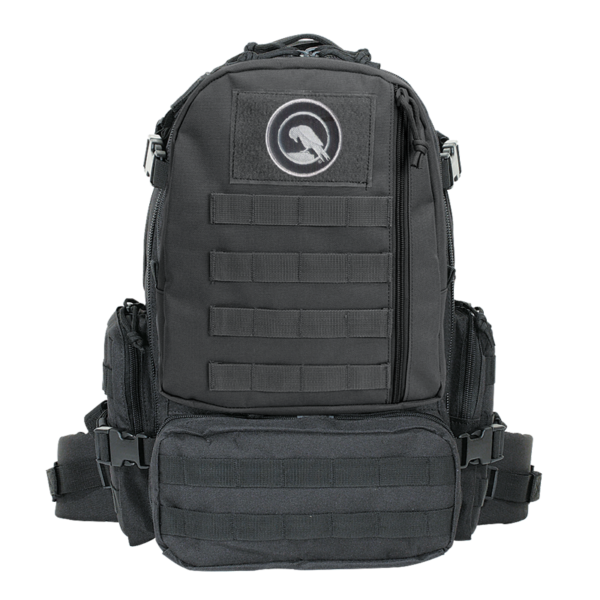 Voodoo Tactical’s best-selling bag is the Mini Tobago Pack. 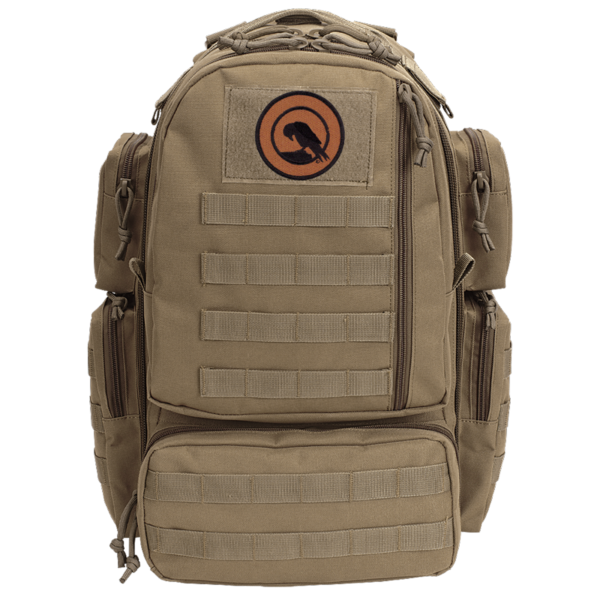 DRALOS™ is proud to offer this pack to you as our favorite “go bag.” We’ve even included a matching DRALOS™ patch with this bag. 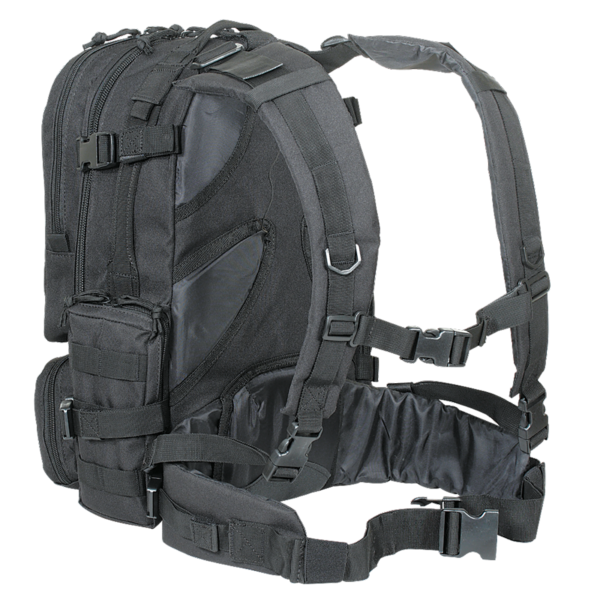 The Mini Tobago Pack is armor plate compatible. 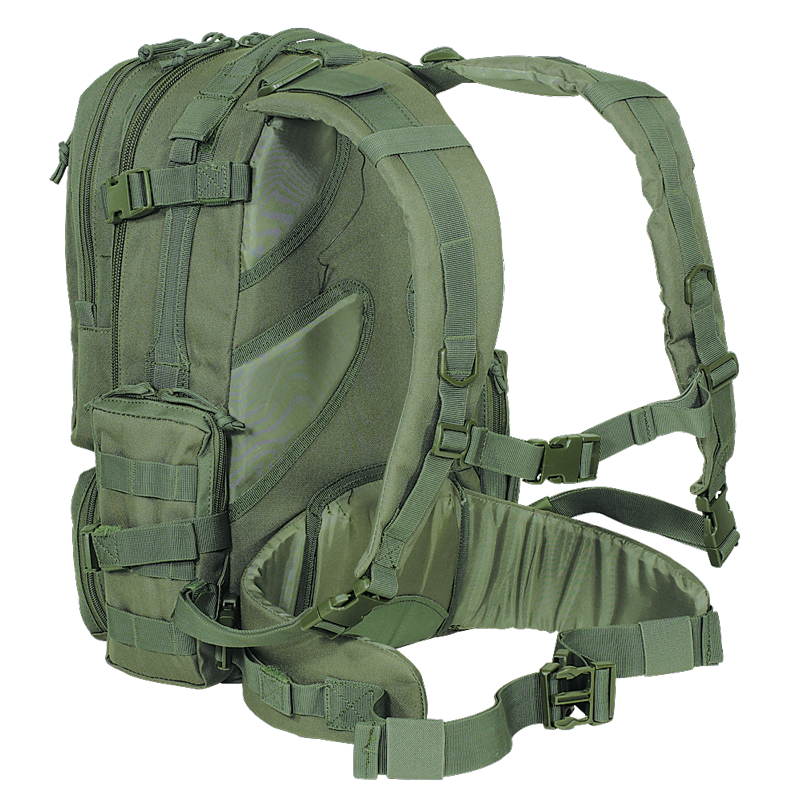 There is an opening for adding your protective soft armor panel and an opening for your hydration bladder with hose exits on either side. 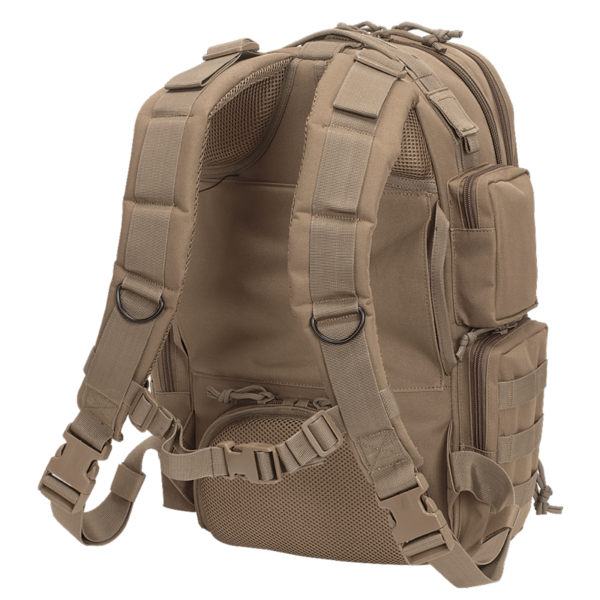 The Mini Tobago Pack features an additional side pocket to the upper section of each side. 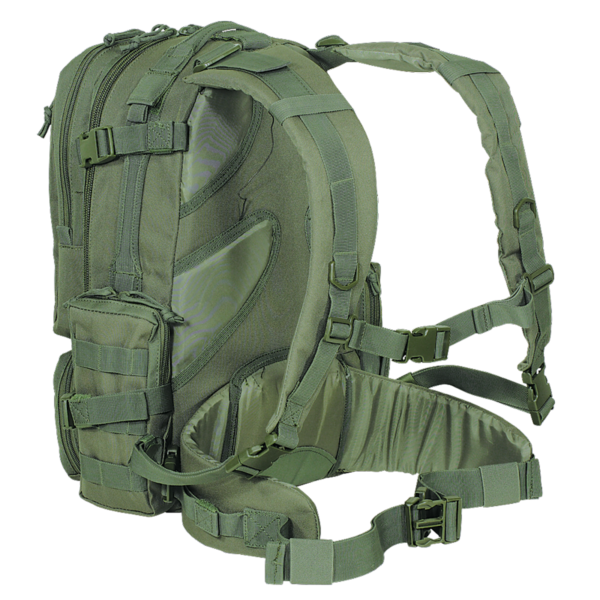 Voodoo Tactical has upgraded the traditional belt with a padded mesh covered pouch for your pistol and added left or right hand access to you weapon. 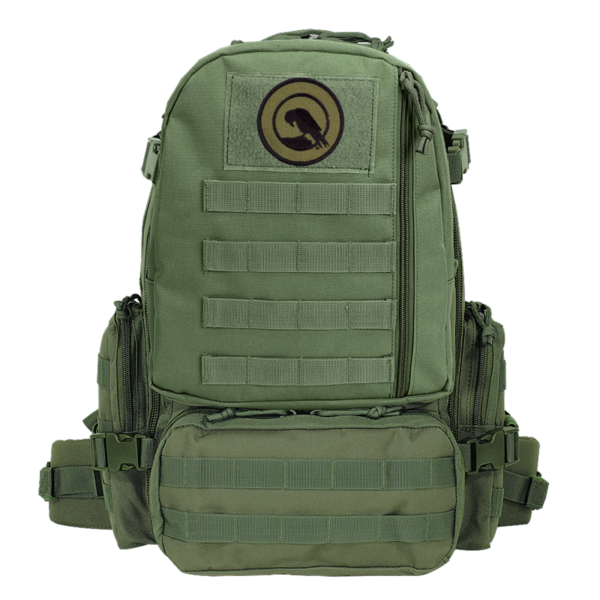 The bag also features added, adjustable, removable shoulder and sternum straps, PALS webbing for your attachment and bottom loops for attaching jacket or bedroll, and the inside main compartment has two zippered mesh pockets and bladder and armor panel pouches. 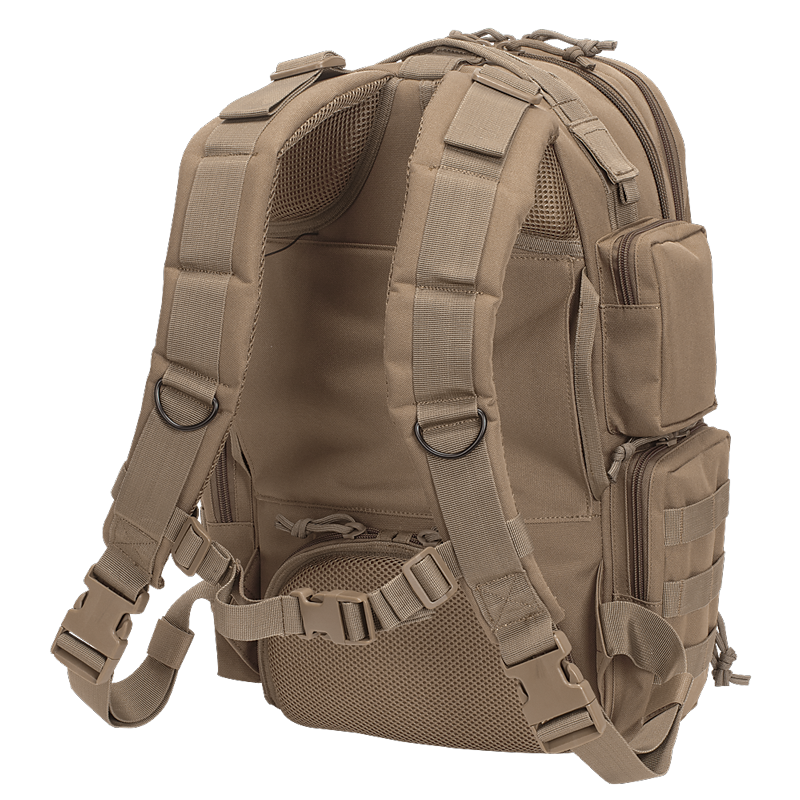 The outside front compartment has an admin section with three open-top pockets, two pistol magazine pouches and pen and key holders. 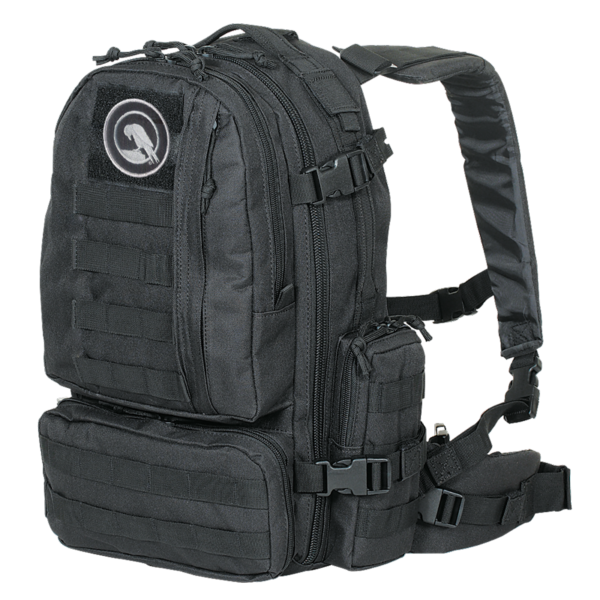 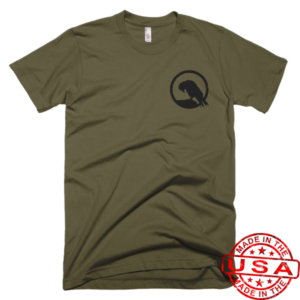 Pack features silent zipper pulls and a double stitched web carry handle. 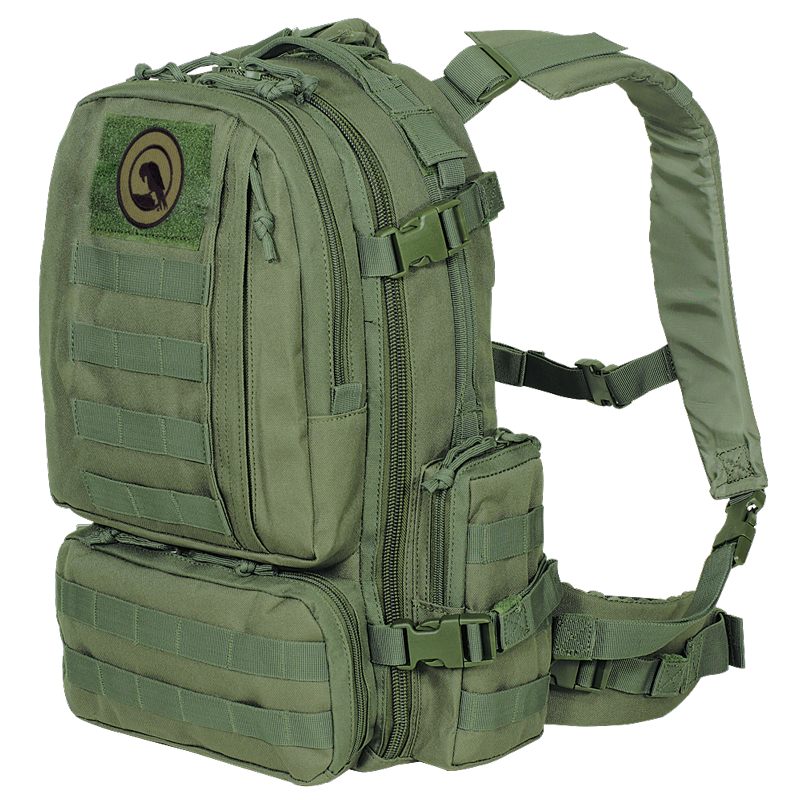 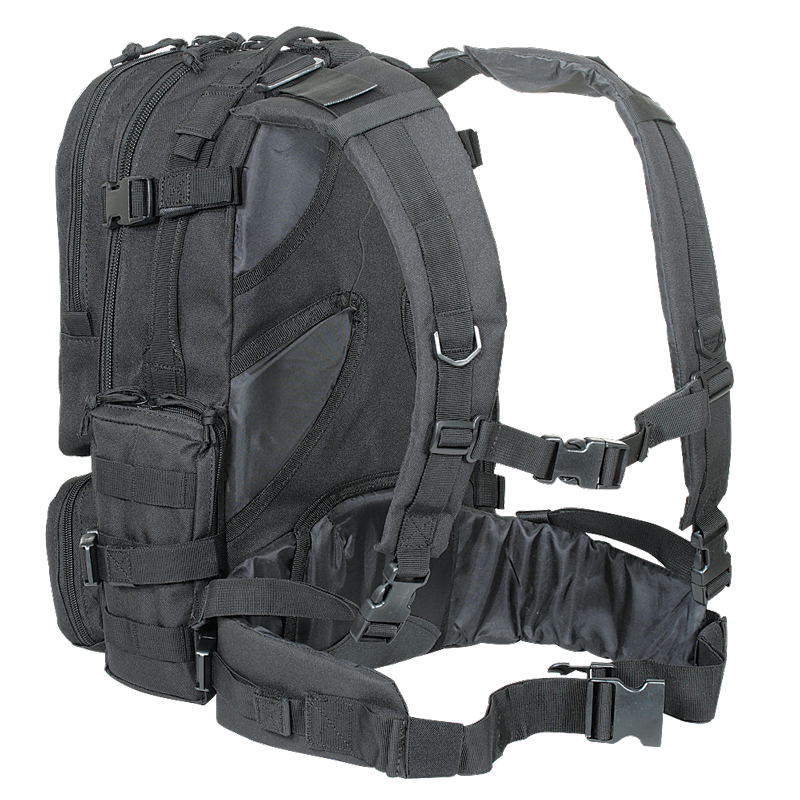 Voodoo Tactical is constantly upgrading and improving this pack, as it is their best selling product. 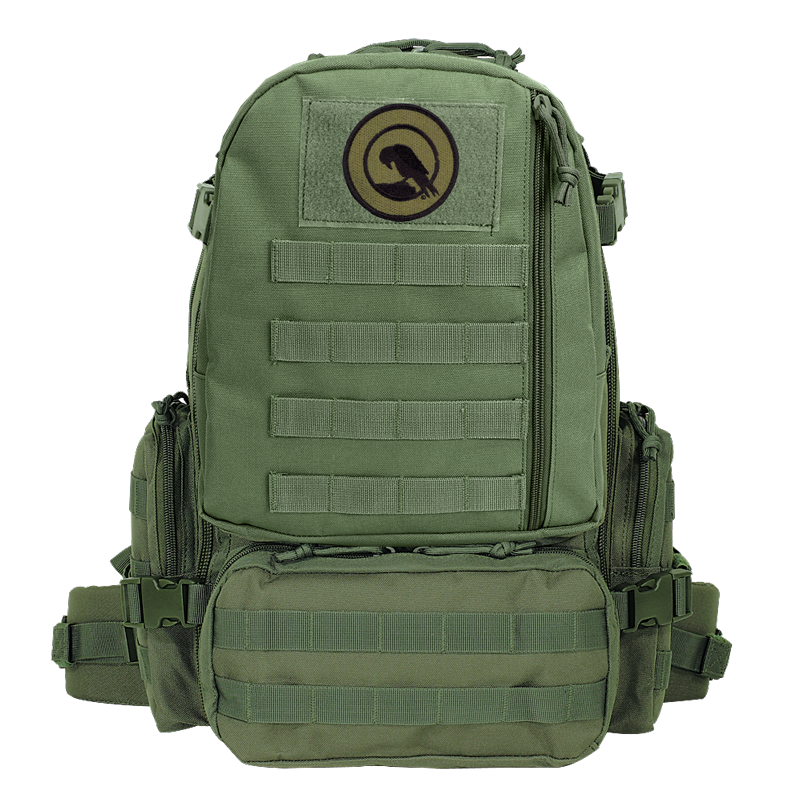 Images shown may vary slightly from the bag you receive, but rest assured, it will be an awesome little bag.